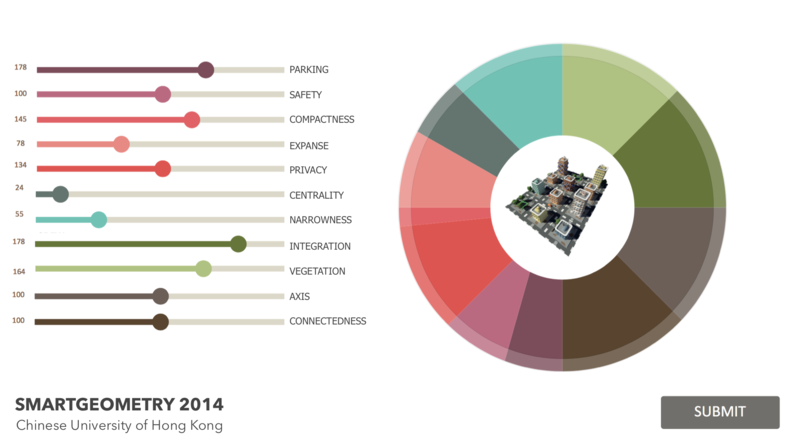 Documentation of work done in Smargeometry 2014 in Hong Kong in the Design Space Exploration Cluster. We worked in the workshop on LUCI (lightweight urban computation interchange system) designed to bring the advantages of content co-ordination system to planning agents by the means of an open source middle-ware. 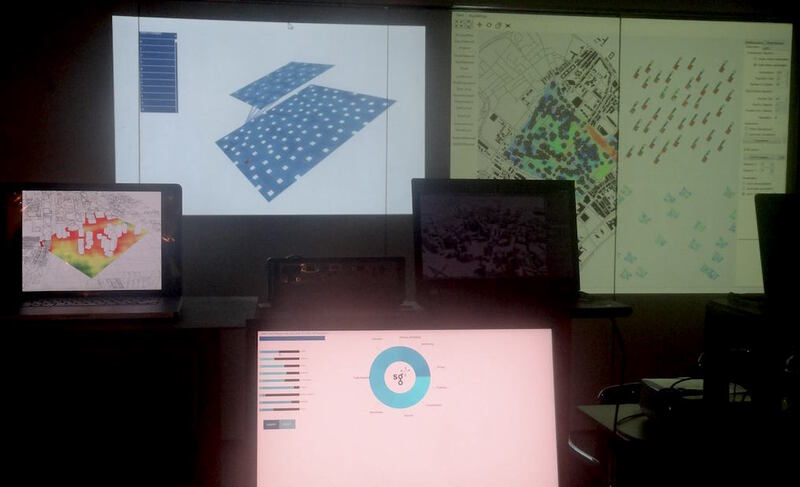 To demonstrate the use of LUCI, the district Rochor in Singapore was re-planned completely.Necessary data on the street network was taken from Open Street Map and information about neighboring structures was available from FCL, Singapore. LUCI system was used in combination with an evolutionary multi-criteria optimization method (EMO) for creating road networks with defined centrality characteristics, such as integration or choice for defined locations. LUCI sets up the entire process of urban planning workflow by automating the plan to 3D generation process based on the user inputs. 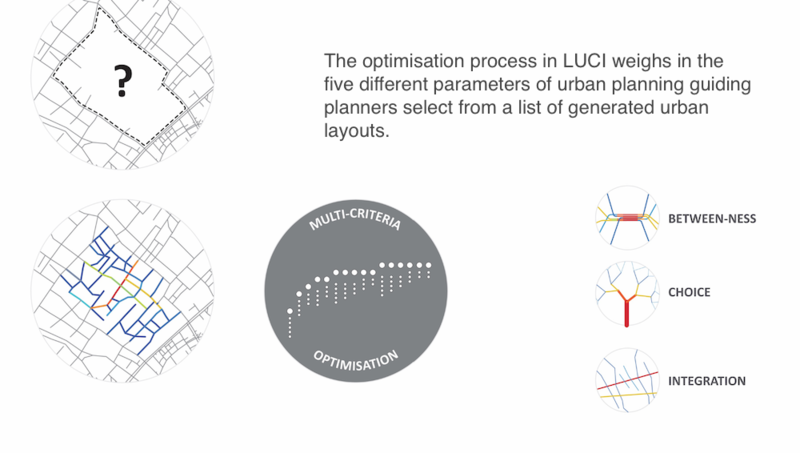 User inputs are translated to urban planning parameters via internal optimization done on LUCI. Several processes are optimized in this process. For example, the animation here illustrates the isovist calculation. Isovists are diagrams that display the regions in a plan visible from a given vantage point. Regions which don't have enough visibility are prone to crimes and hence isovist analysis lets us detect potential crime prone areas. 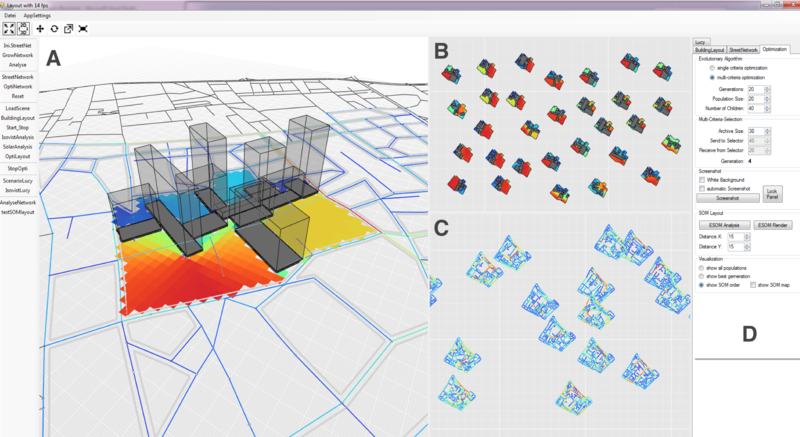 Through a series of optimizations, plans are generated which the urban planner can choose from. UI I developed to control the LUCI application. I made the UI/UX user control to be displayed in the workshop on Processing that generated a csv file on submitting that went directly to LUCI for automated plan updation. Radar plot of the user data. 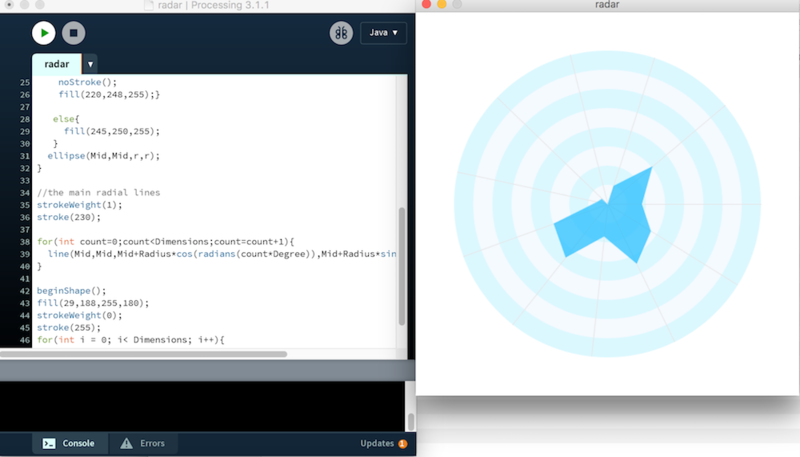 The user data could be plot on a radar plot through another Processing sketch that gets activated on submitting. The entire set up by my cluster on the final day.